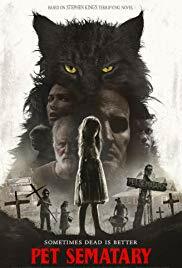 Runaway foster child Billy Batson (Asher Angel) appears to be the least likely candidate to inherit the traits of the Great Wizard Shazam (Djimon Hounsou), but, desperate times call for desperate measures; and, when the seven deadly sins escape back to earth through a man possessed (Mark Strong), Billy’s number is up. 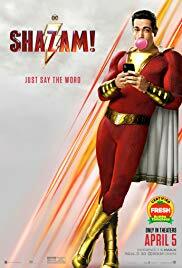 Presto chango, in the blink of an eye Billy becomes Shazam (Zachary Levi), a fully grown man in the best version of himself he can be; unfortunately, his mind has yet to catch up. Awkward teenage years in the body of a superhero, explaining this to the foster home should be interesting, but first, stopping the evils of the seven deadly sins before the downfall of man, simple stuff…yeah right. Written by Henry Gayden and Directed by David Sandberg, this quirky and off beat launch sits in an odd place in the halls of cinematic graphic novels, combining one part Tom Hank’s Big, with two parts DC comic lore and a dash of Roman mythology, baking up into a strangely layered cake unable to stick the landing on the laughter dismount mat; and, overstaying its welcome by quite a bit, runtime is two hours and twelve minutes. With tighter editing we could easily lose 15 minutes and be no worse for the wear. Regardless, the goof factor runs high and despite the tonal challenges otherwise, the general consensus is “it’s fun.” At least DC can laugh at themselves? Perhaps a matinee or rental later, Shazam! is rated PG-13.